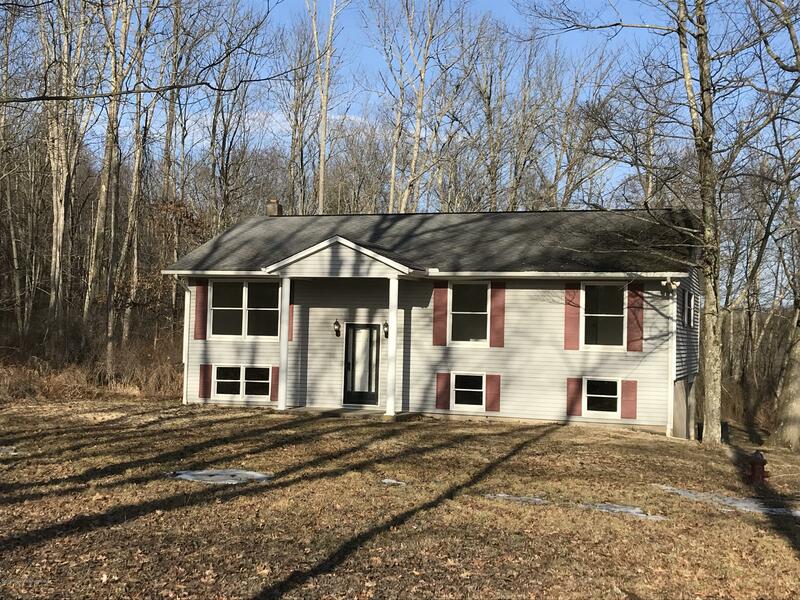 This 3 bedroom, 1 1/2 bath bi-level sits on a quaint wooded setting. Newly updated. All new floor coverings. Half bath in basement is plumbed for tub or shower. Family room in lower level needs finishing. Stone wall and hearth is ready for stove. Walk out on ground level. One plus car in basement. Private back deck. Property also includes an additional well and sand mound system.